I’ve been negligent in posting lately. 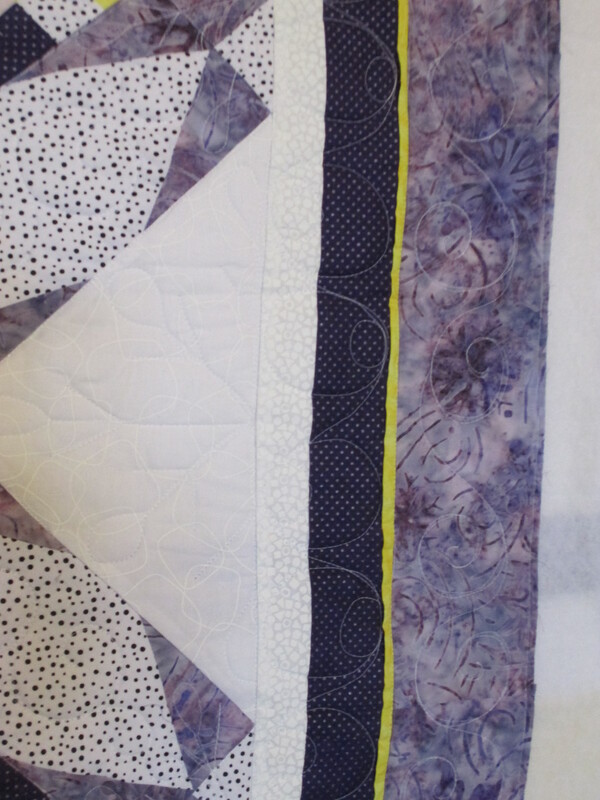 This quilt for Nancy was finished in January. 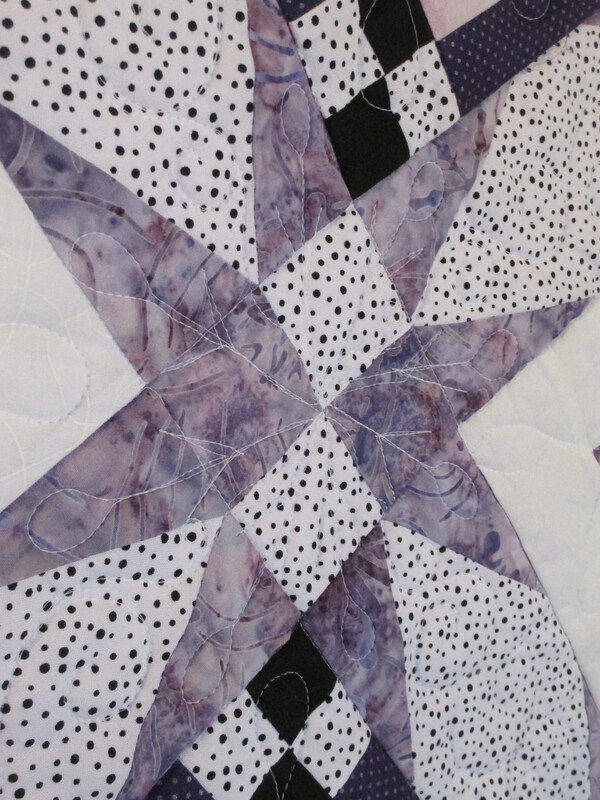 I wasn’t sure what to stitch on this quilt until I looked closely at the fabric. Here it was January, when we are supposed to have snow, and the weather was nearly balmy compared to the rest of the country. This has been a bitter winter for many in the northeastern U.S. And, flooding has engulfed the west coast. The upper Midwest has seen brutally cold temperatures and the south has had more than their fair share of ice and cold temperatures. But, here in the Kansas City area, we have had it mild, comparatively. 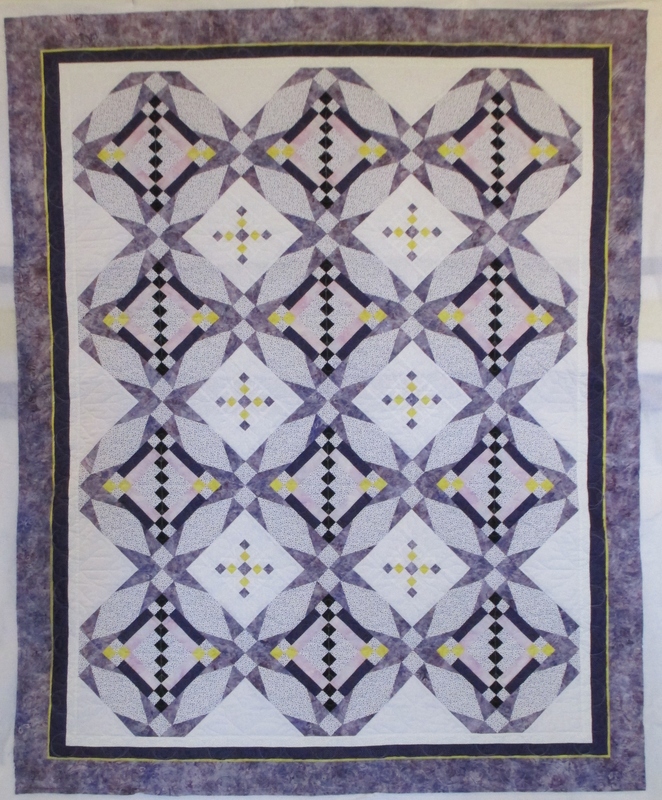 So, looking at the batik fabric Nancy had in the borders made me think this should be a winter quilt. 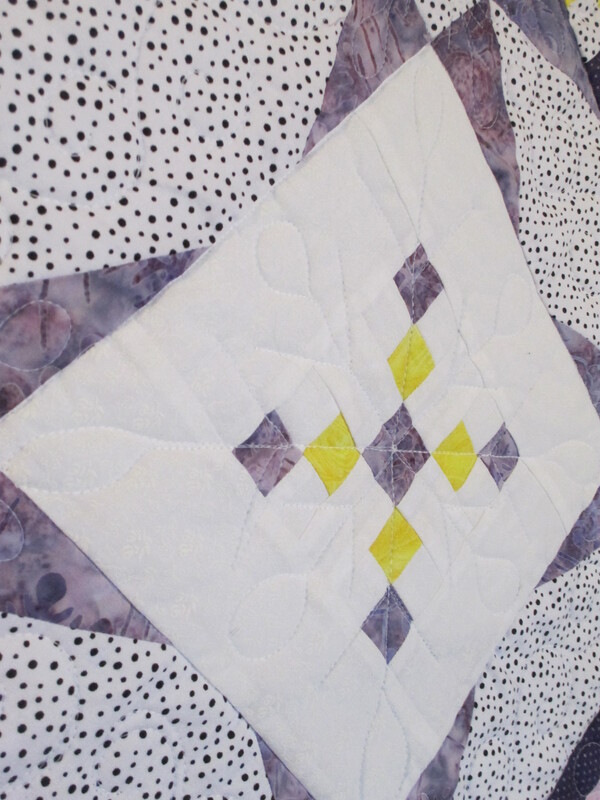 She has it interspersed throughout her quilt and on the the back, too. Do you see the subtle snowflakes in the fabric? 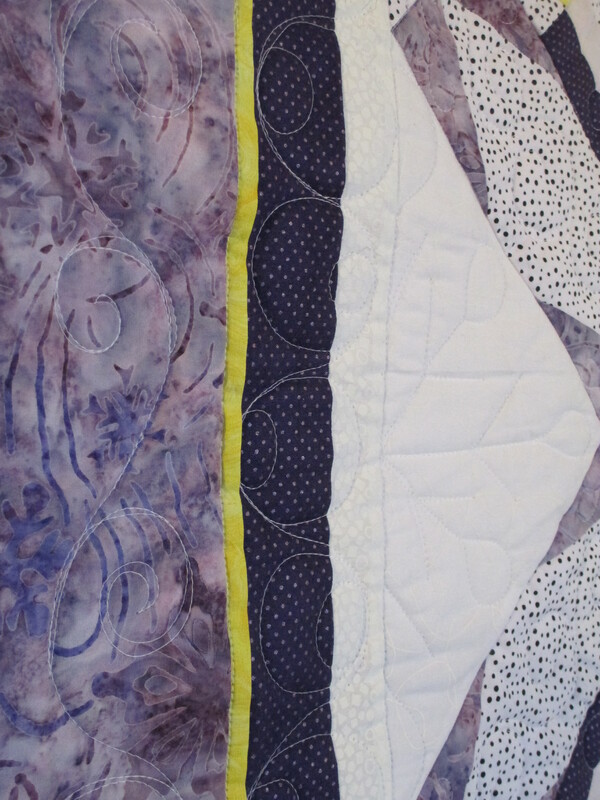 I filled the outer border and sashing with swirls, and the circles in the inner border were supposed to resemble snowballs, but they ended up more square than round. The blocks themselves got snowflakes stitched into them. She added 3 stripes to the backing fabric. The rest of it is white. And, here’s a full shot of the front. 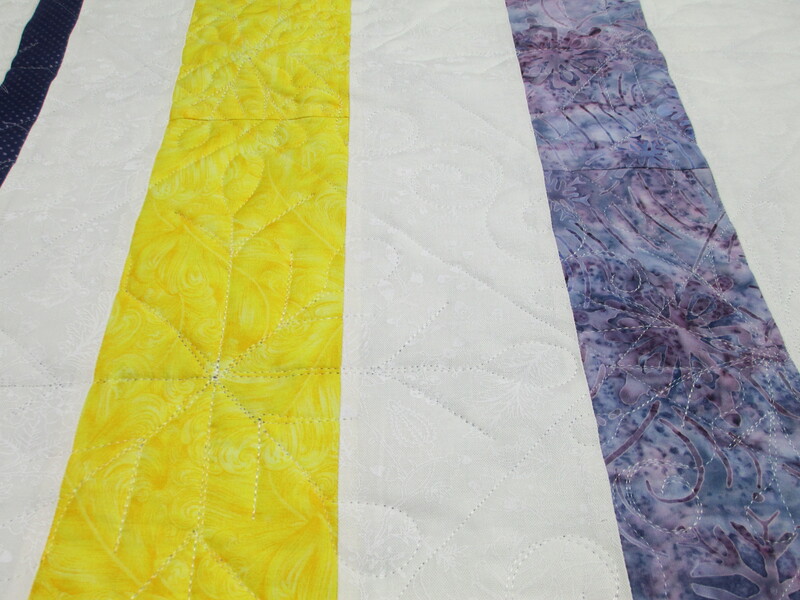 Can you tell she likes purple, blue and yellow (GREAT colors together! )?